Just because it's too cold to grill outdoors doesn't meant you can't enjoy juicy, tender, falling-off-the-bone ribs. 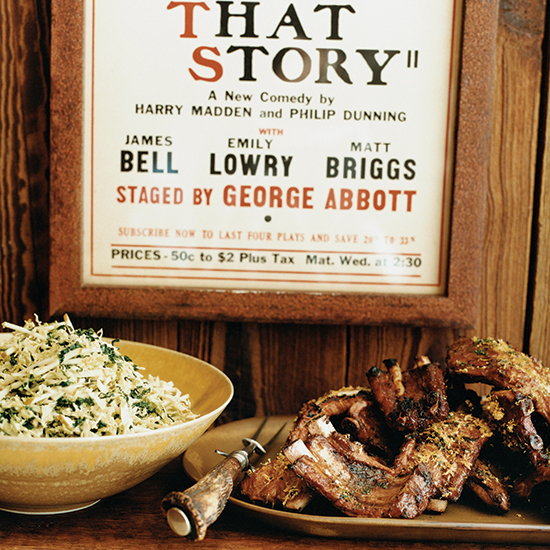 Here, seven luscious recipes for ribs that can all be made in the oven. 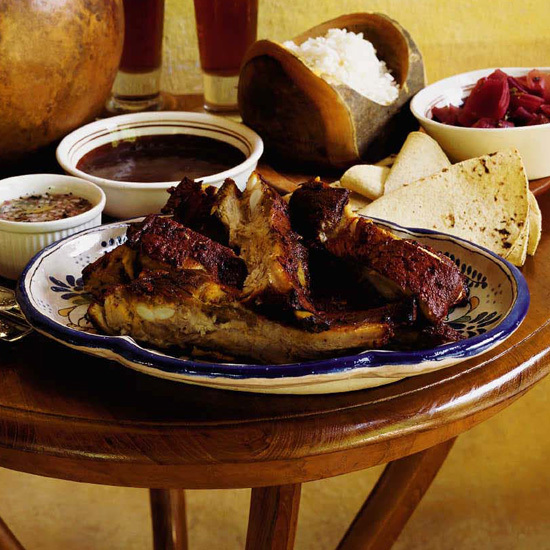 Chef Hugo Ortega uses smoky pasilla chiles, tomatoes and spices to make a rich, tangy mole sauce for braising short ribs. Roasting pork spareribs in in banana leaves adds flavor and helps to keep the meat perfectly moist. These fantastic ribs are slow-roasted until tender and crisp, then finished with a simple balsamic glaze. 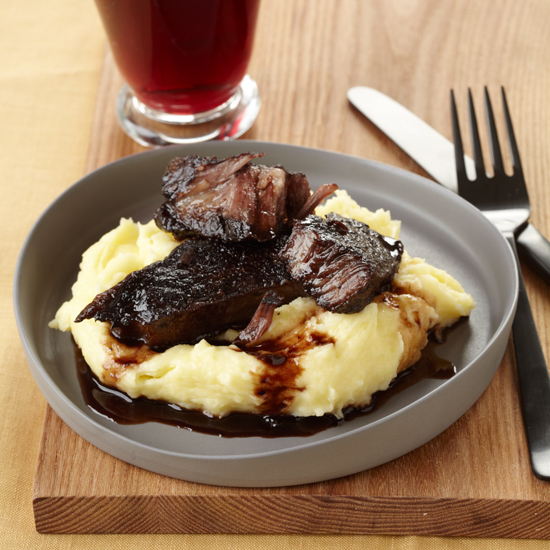 What's the secret to star chef Tom Colicchio's succulent braised short ribs? He marinates the short ribs along with vegetables in wine. 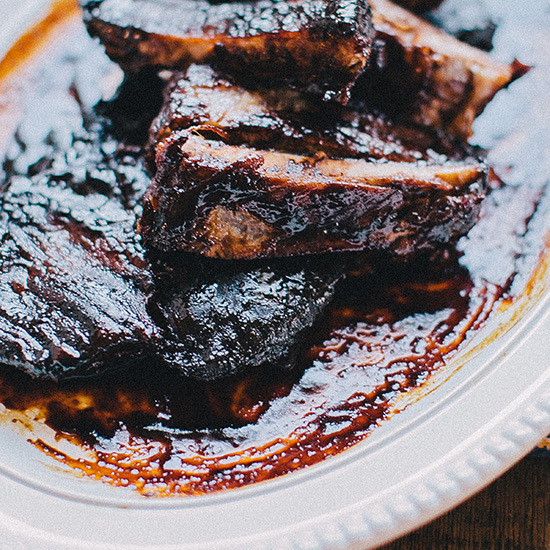 The sweet glaze on these ribs highlights Vermont's fabulous maple syrup. 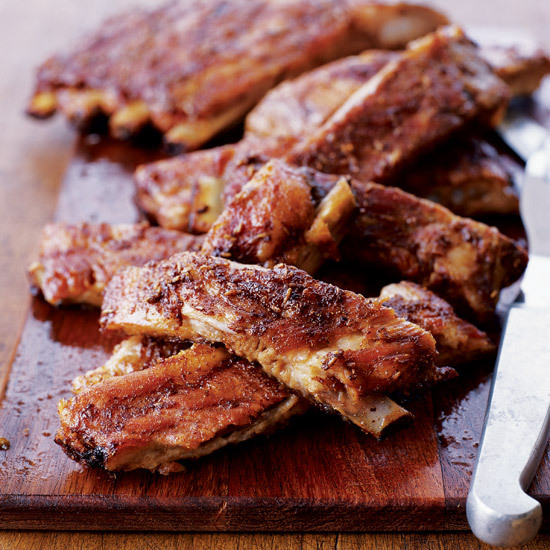 Chef Michel Nischan uses a broiler and a warm oven instead of a grill for his excellent Southern-style ribs. 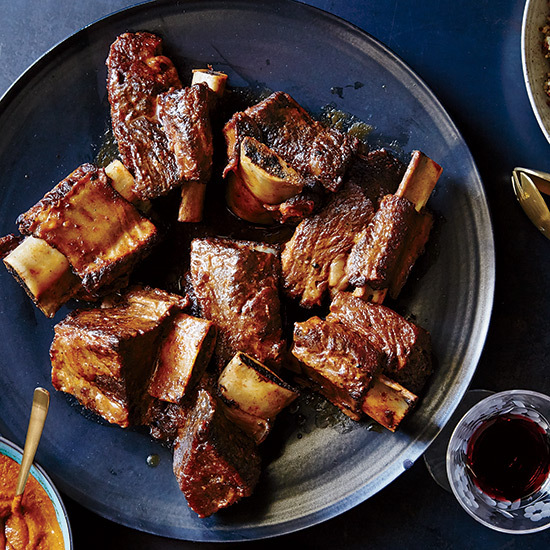 These sweet-spicy ribs are flavored with molasses, cayenne pepper and paprika. ChefSteps shares how to make amazing baby-back ribs indoors without a smoker.